From tear downs to an oceanside estate to the center of town:the spirited saga of six buildings that are now the East Hampton Town Hall. In the 1970s, Adelaide de Menil and Edmund Carpenter bought a 40 acre potato field in East Hampton, NY, bordered on the north by Further Lane and the south by the Atlantic Ocean. They moved unwanted 17th and 18th century buildings to the property and restored them as residences. When the property was sold in 2007, the houses and barns were uprooted from their foundations and moved to town center to be repurposed as the new East Hampton Town Hall. 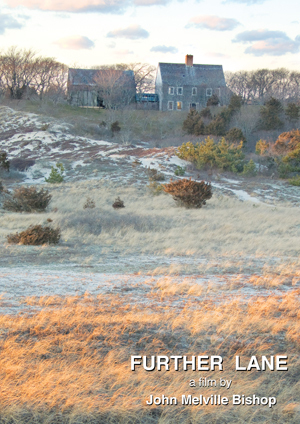 This film includes footage of the initial restoration work, evokes the estate in its finished form, and follows the buildings across the fields and up the Montauk Highway to their new incarnation. Wonderful music and stunning cinematography.